Historically the SFA has provisioned traditional hosting services to run our ICT Services. This has resulted in us owning a significant amount of aging physical infrastructure which is costly to run and requires continuous investment to maintain. We recognised that one of the benefits of moving our ICT Services to run in the cloud would be to significantly reduce our operational costs, not just by allowing us to pay only for what we use, but also by reducing the investment needed to maintain our aging infrastructure. In line with the Government ICT Strategy we have adopted the cloud first policy and we are already actively moving our ICT services to run in the cloud as and when the opportunity presents itself. Whilst most of our ICT services are already web enabled, many of them are not designed and certainly not built to take advantage of true cloud services. 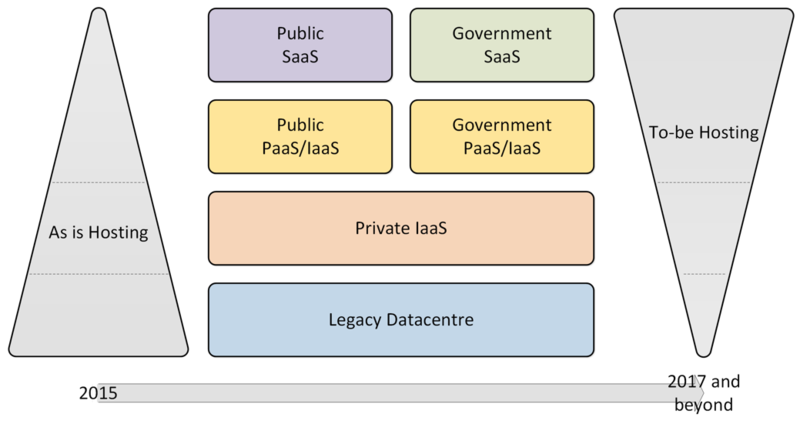 As a result, we will have a hybrid of legacy infrastructure and both public and private cloud infrastructures as we transform our Digital and Mission IT Services over the next few years. We're making good progress and have already successfully transformed our Data Collections Service to run in a private cloud. This presented us with some interesting challenges and taught us some valuable lessons we could build on. We are already seeing the benefits of this transformation in reduced operating costs and lower cost of change as we evolve the service. We have also recently moved some of our citizen facing services to run in our private cloud as part of the Agency’s Supply Chain Transformation programme. This has fundamentally changed the way we buy ICT services, leveraging commodity services and providing more opportunities for us to work with SMEs. As part of the Agency’s apprenticeship exemplar project, and also as a key objective of our Funding and Contracting Transformation project, we are now deploying some of our services to run on public cloud infrastructure. This will enable us to further reduce our ICT costs and also enable us benefit from the true characteristics of cloud deployments. This is a journey and we are now looking to benefit from using Platform as a Service where we can. We’re also seeking the opportunity to use the Government as a Platform - this will enable us to focus on the ICT that is important to the Agency, whilst benefiting from the investments already made across government.